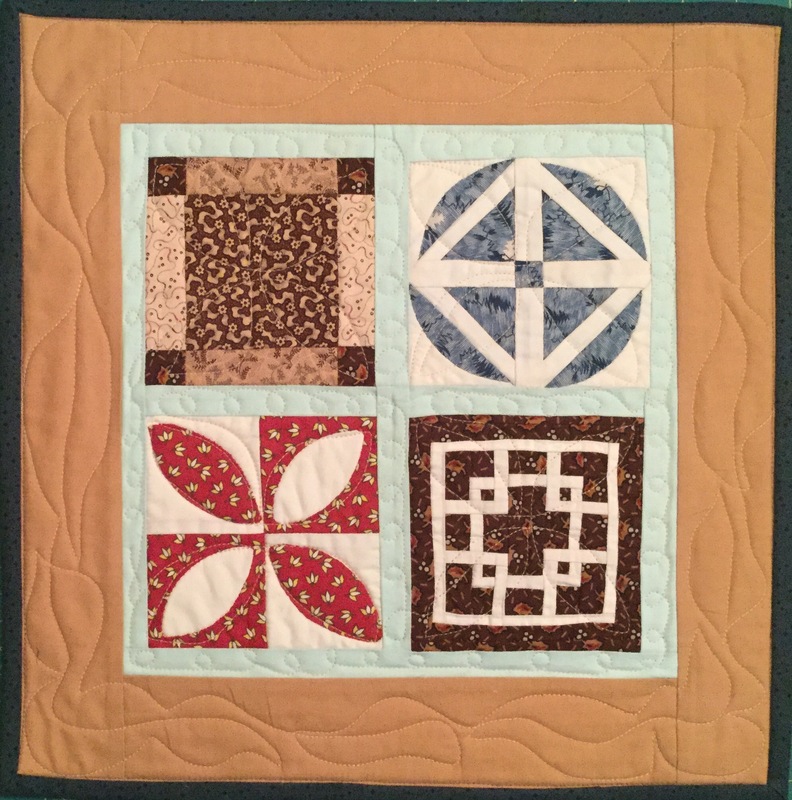 Main Streets and Back Roads – A twelve month Block of the Month designed by Antoinette which, if the previous months’ block is finished, is free each month. 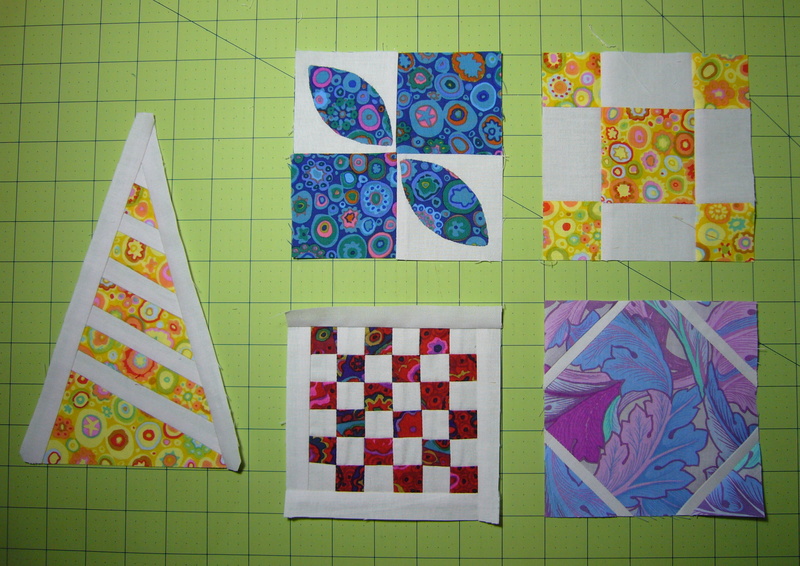 This is the first month, so I am all set for my free block 2. 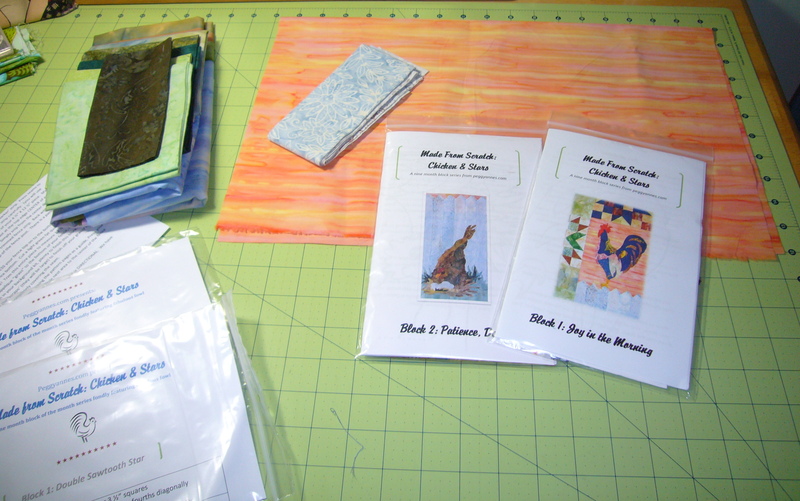 Aunt Lucy – A 16 month block of the month quilt in reproduction fabrics with 5 months completed! 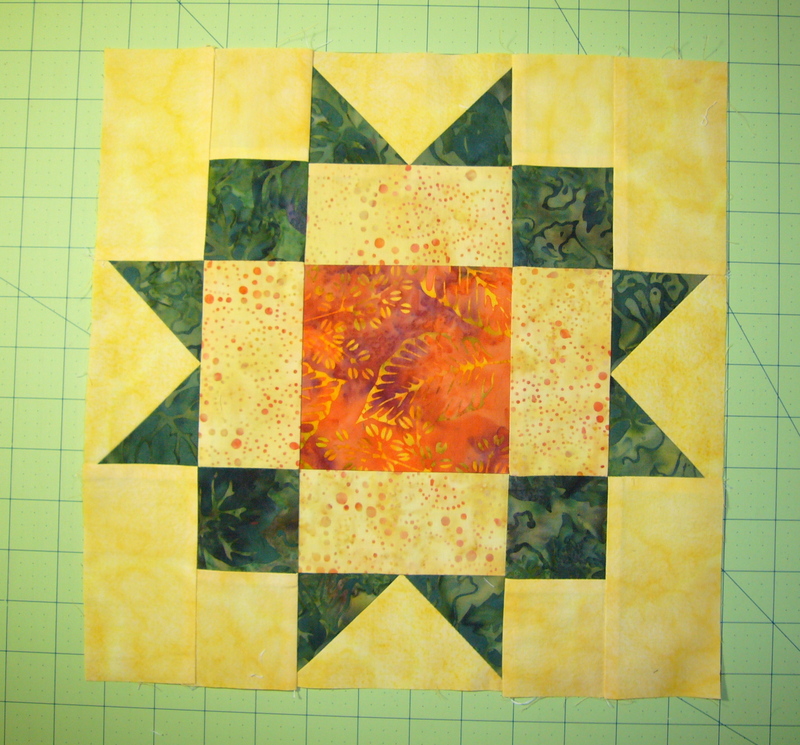 In the Meadow was the 2012 block of the month. 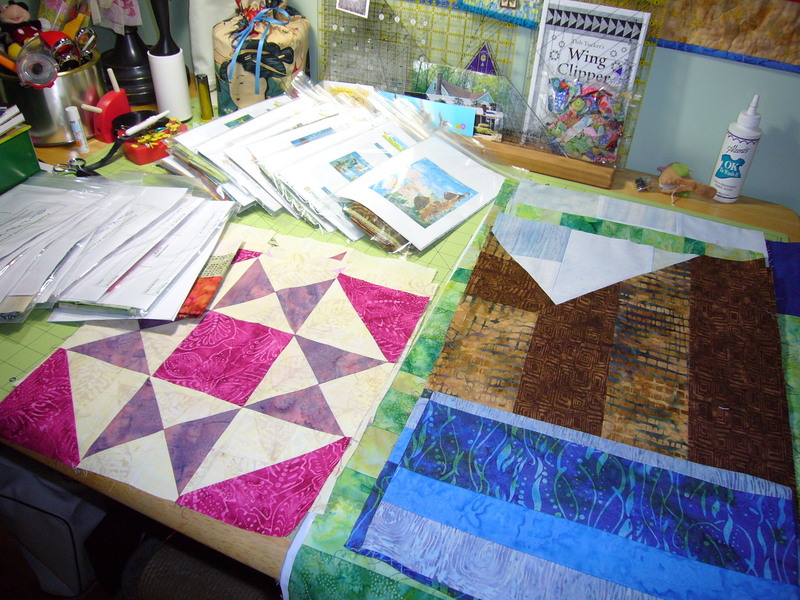 I started the background a a few of the blocks, but never finished because I was too focused on the Bird Quilt, but I am really going to try to find some time for this now! Chicken and Stars is a 9 month BOM. 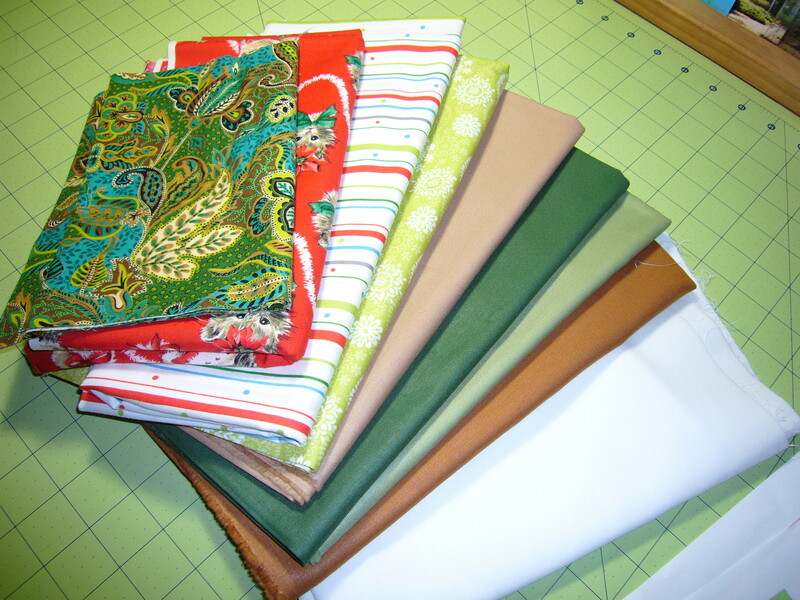 I already have two months and I need to get started on this one before it ends up like the In the Meadow quilt! 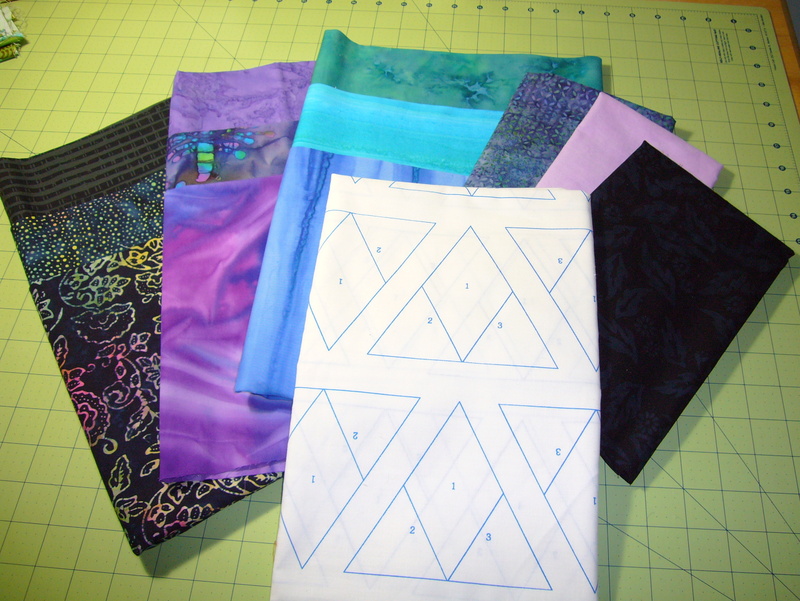 Seven Sisters – This is the same pattern as the Star Quilt, but I am going to do this as a Seven Sisters quilt, with the 7 stars in the middle in blue and the others in purple. 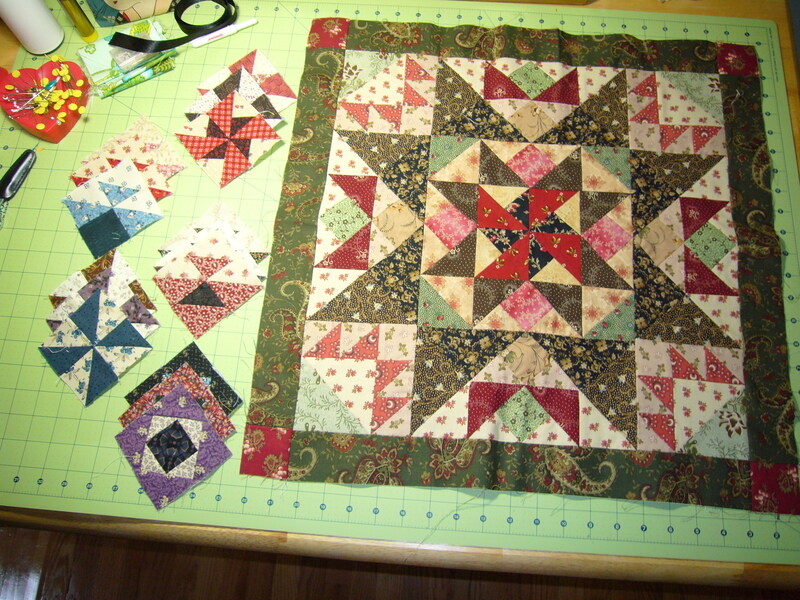 Christmas Quilt – Peggy Anne has asked me to get a Christmas Quilt ready by June for her store. I have a pattern ready for this and will be getting the top done this month!!! 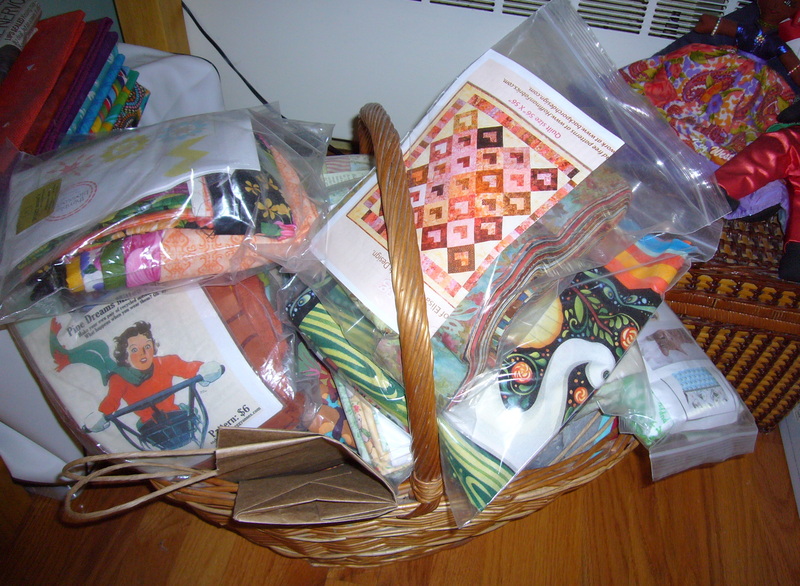 And … there is a an entire basket of quilt kits …. someday!!!! This entry was posted in Applique, Patterns, Quilts and tagged block, chicken and stars, dear jane, kits, month, peggy annes, quilts, qulters common on May 4, 2013 by pmegio.